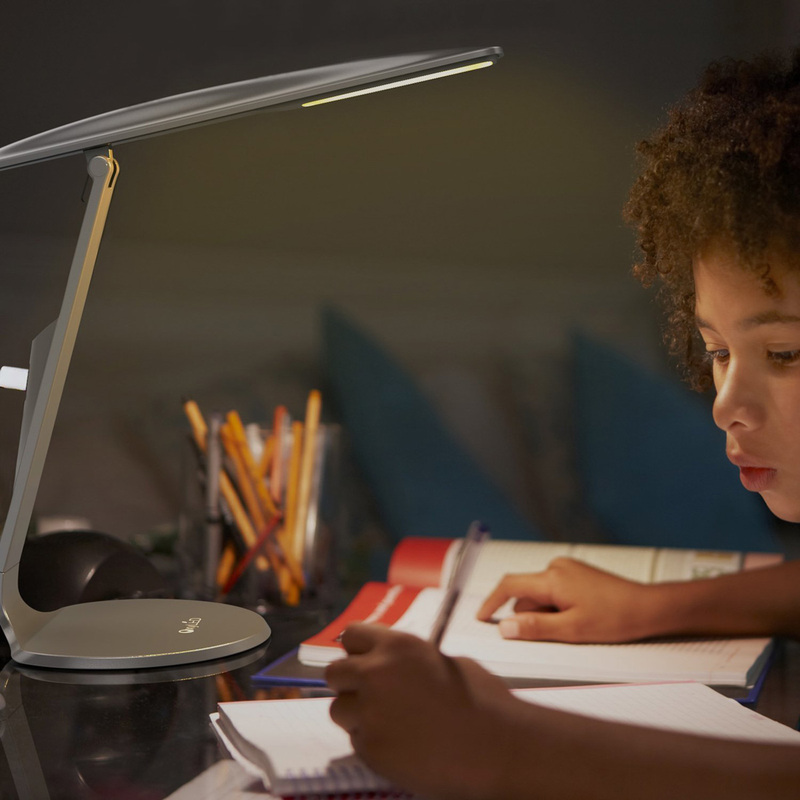 Today we’re doing something a little different; we’re looking at a sleek LED desk lamp from Oxyled. The T35 is powered by sixteen LEDs, making it cool and energy efficient compared to traditional desk lamps, and the light is relatively inexpensive too at £40. Let’s take a closer look in our rapid review. The T35 produces a warm light, rated between 3800 and 4500K. The LEDs are mounted within an adjustable arm, which can move from almost straight up to straight down (about 160 degrees of motion). No side-to-side or height adjustment is possible. The light is powered using a removable Micro USB cable which protrudes from the back of the lamp. The cable can be attached to a computer, battery pack or mains charger. If your wall outlets are occupied or you want to use the light outdoors, then you’ll appreciate this flexibility. The light is turned on with a touch-sensitive button on the back, just above the Micro USB port, and can be dimmed by holding the button down. If you do dim the light, then touch the button again to turn it off, it will remember its previous level when you turn it on again. In our testing, the light performed as expected, producing a bright but not blinding light in the direction the lamp is facing. We found that the flat base was quite helpful, allowing us to place a book, circuit board or another object of interest directly below the light in order to examine it closely. The overall design of the T35 is quite sleek, but the Micro USB port coming out of the back is a little ugly — we would have preferred to see the cable attachment point nearer the base. 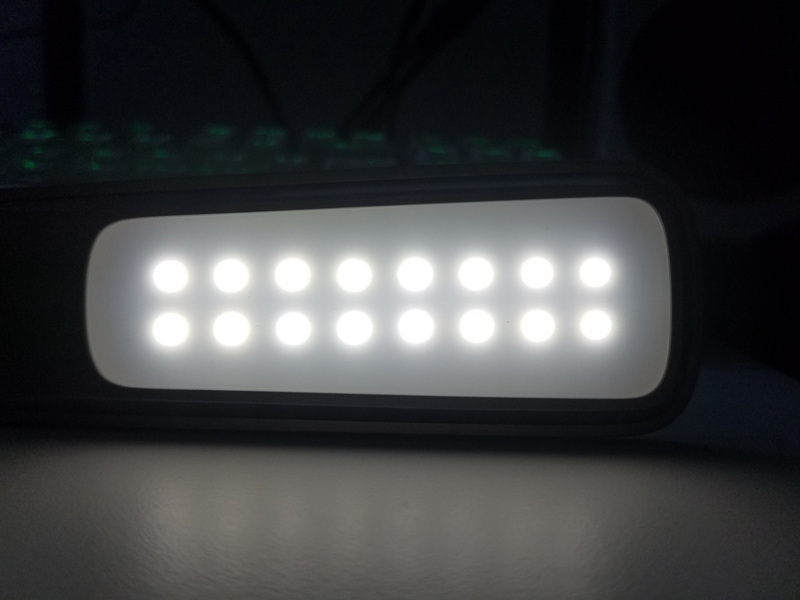 In terms of build quality, we had no complaints; the light seems well-made and as it uses LEDs, unlikely to fail any time soon. Ultimately, the Oxyled T35 is a decent enough desk lamp, but is it worth the £40 / $40 asking price? No – while this lamp is nice, it’s hard to justify that much cash when similar LED desk lights can be had for half the price. Thankfully, the T35 seems to be discounted fairly frequently, and in the £20 to £25 (or $20 to $25) price range this is a reasonable investment. You can check out the current prices on Amazon UK or US via the links below.